Parents and students participate in a traditional dance at an anti-bullying form at the Mexican American Students Alliance on Jan. 13. Photo: Jaya Sandaresh. Ofelia Feliciano’s voice was restrained as she addressed the crowd, but there was unmistakable strength in her words. “I come from an indigenous Aztec family, and I am not ashamed of it,” said Feliciano in Spanish at a forum at the Mexican American Student Alliance’s (MASA) Centro Tlanezcalli on Sunday, Jan. 13. Feliciano, who is a member of MASA’s Parents in Action said that the school her children attend has not instilled a sense of self-worth and cultural pride like she had growing up in her native country. Although she has tried to supplement the shortcomings of the school’s curriculum at home, she said that the children are bullied constantly by other kids who see them as different. That message was echoed over and over again at the center, where some 50 South Bronx parents and children gathered to express their alarm over the high rates of bullying in local schools. 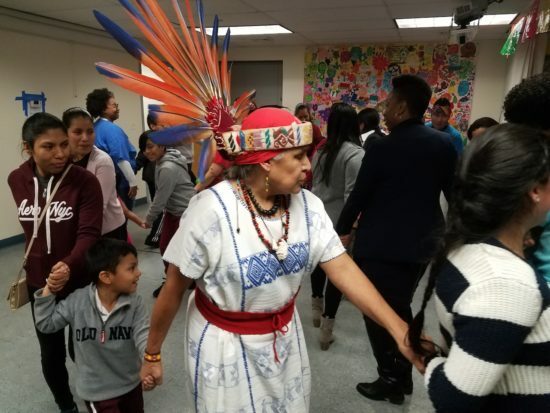 The group is calling for the creation of a Culturally Responsive Curriculum to highlight the achievements of indigenous cultures across Latin America, and also highlights the contributions of African-American, Asian, and Native American cultures. 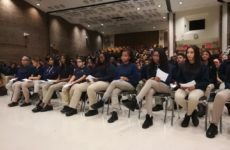 According to data from the school district that includes Mott Haven schools, Community School District 7, Latino students make up nearly 70 percent of the student body, and African Americans another 30 percent. MASA’s Parents in Action group started up 12 years ago, with the goal of training teachers to prevent bullying by building students’ self-esteem. The group says that the interventions help raise students’ grades as well. Nearly half of all elementary school children and three quarters of middle school students in Mott Haven and Melrose have been involved in bullying incidents, either as victims or perpetrators, according to local teachers. 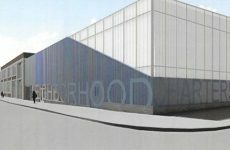 Parents urged District 7 schools superintendent Rafael Alvarez, whom they had invited to the forum, to create a task force made of area residents to address the problem. But Alvarez countered that the policy already in place is working. 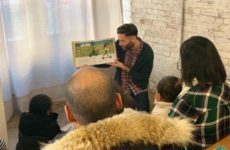 An educator is training teachers, aides and paraprofessionals in Therapeutic Crisis Intervention for Schools, a trauma-informed therapy designed to identify crises needing intervention, he said, and added that more books emphasizing diversity will be introduced in area schools. Those assurances were not enough to appease many of the parents in the room, however. Some angry parents said that the superintendent’s response reflected a common problem: a lack of respect for non-English speaking parents. “We all deserve respect, even if we’re not from here,” said Feliciano.